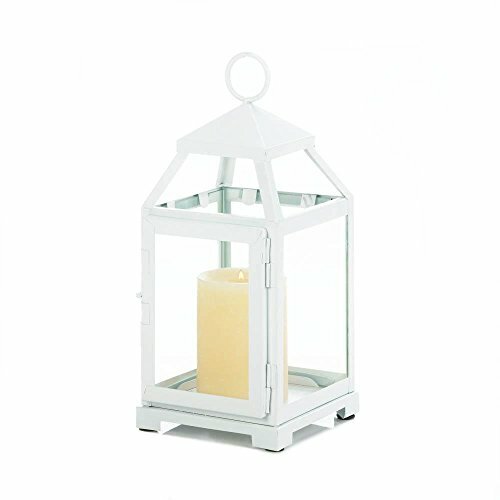 Gallery of Light Glass Candle Lantern, White Outdoor Decorative Modern Christmas Candle Lantern by Gallery of Light at Two Clock. MPN: C1-1DA8-DA2B. Hurry! Limited time offer. Offer valid only while supplies last. Dimensions: 5" x 5.5" x 12"
If you have any questions about this product by Gallery of Light, contact us by completing and submitting the form below. If you are looking for a specif part number, please include it with your message. Set of 2 Winter Solace Bird in a Christmas Wreath Glass Candle Holders 18"